12-Can Cooler. 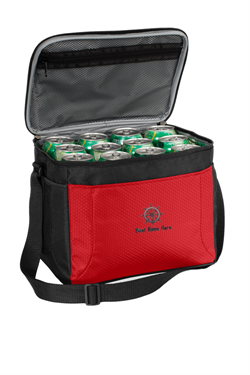 This spacious cooler has room for 12 cans plus everything else you need for a fun event..
Dimensions: 8.75"h x 11.25"w x 8"d; Approx. 787 cubic inches.